I walk around in circles. I feel calm, not nervous. With no plan, with no purpose. My path is straight and clear. Here I am to disappear. With no worry, with no fear. I look into the silent abyss. With no hope, with no promise. My eyes are dark and blind. Myself I daily lose and find. With no thought, with no mind. I repeat my sins again. I cannot cleanse this ugly stain. With no sorrow, with no pain. There is no future, friend. No other life to spend. Clear out your mind, unbend. Death really is the end. and that death is not the end? No peaks and mountains to ascend. your path quite soon will find its end. No truth or honor to defend. but when death calls, it is the end. On no god you can depend. This life you cannot transcend. 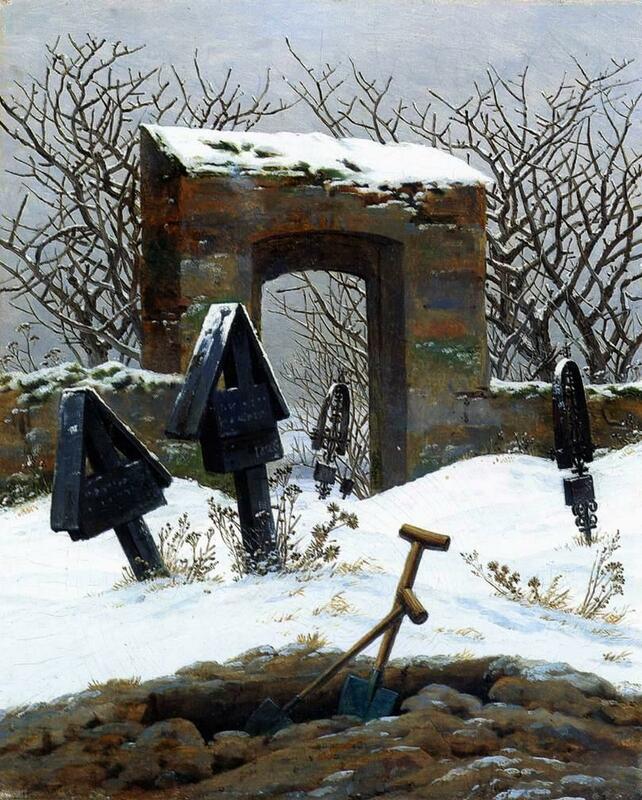 *Painting “Graveyard under Snow” by Caspar David Friedrich, 1826.
and point my finger to the moon. hoping not to wake up too soon. of my dark and blurred eyes. What lies outside, who really knows? Who can pretend to be so wise? about the current world affairs. and got an answer to their prayers? and breathe the universe in me. as far as I can tell and see. and try to get lost in the trees. I dare to fail and miss my mark. Thus to live in peace and ease. 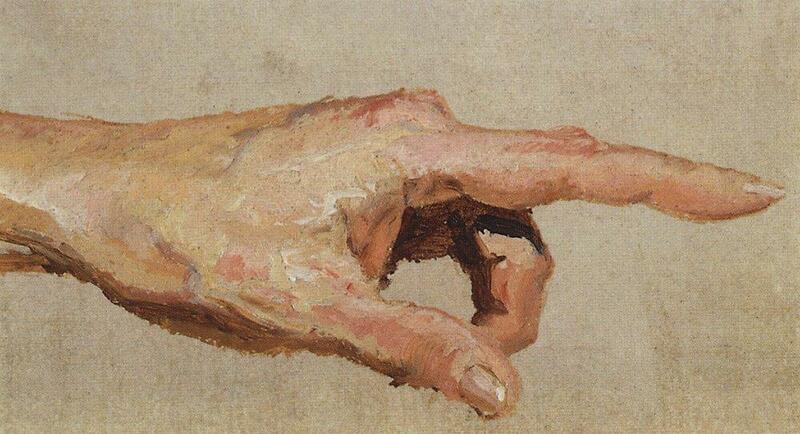 *Painting “Left hand with the index finger” by Vasily Polenov, 1885.